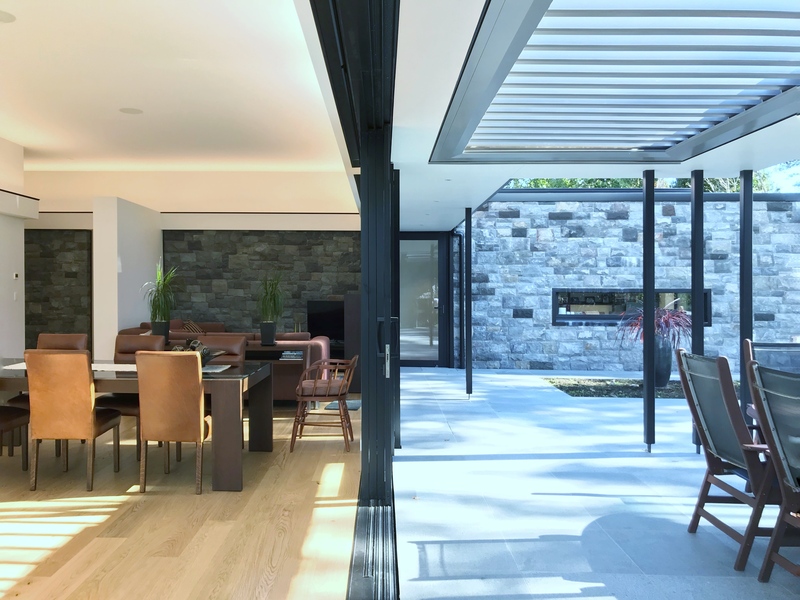 The inspiration for this new home was taken from the existing natural surroundings. 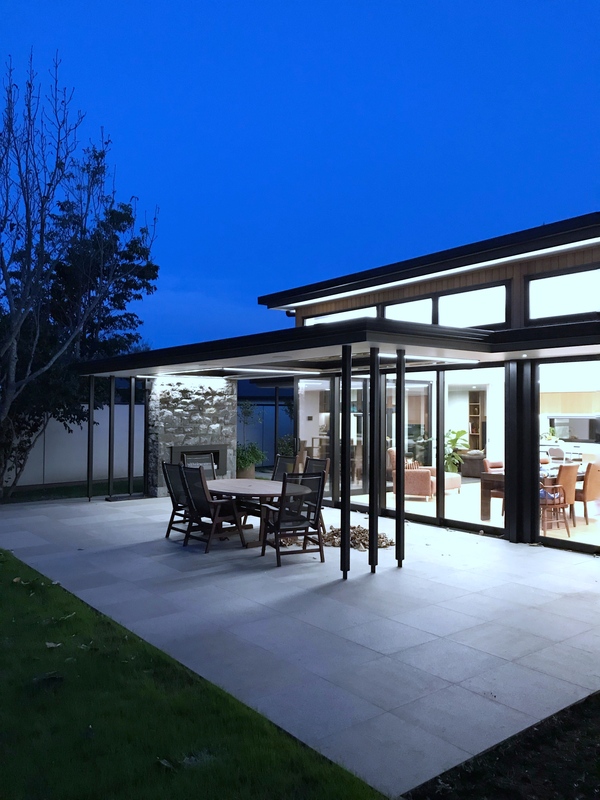 With the site located on the town/country border of New Plymouth, there was an interesting balance between the built up residential, and the established rural character of the area. 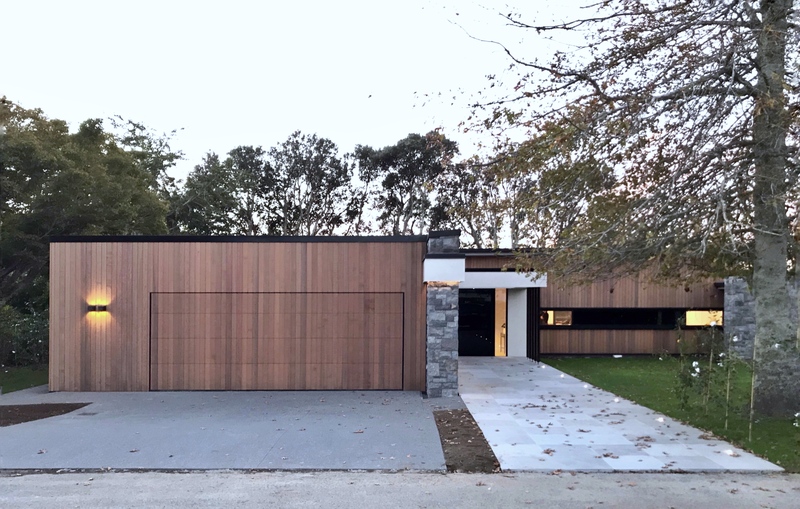 The intention of the design was to create a private retreat centrally within the site that adapted to the regular transitory influx of the wider family members. 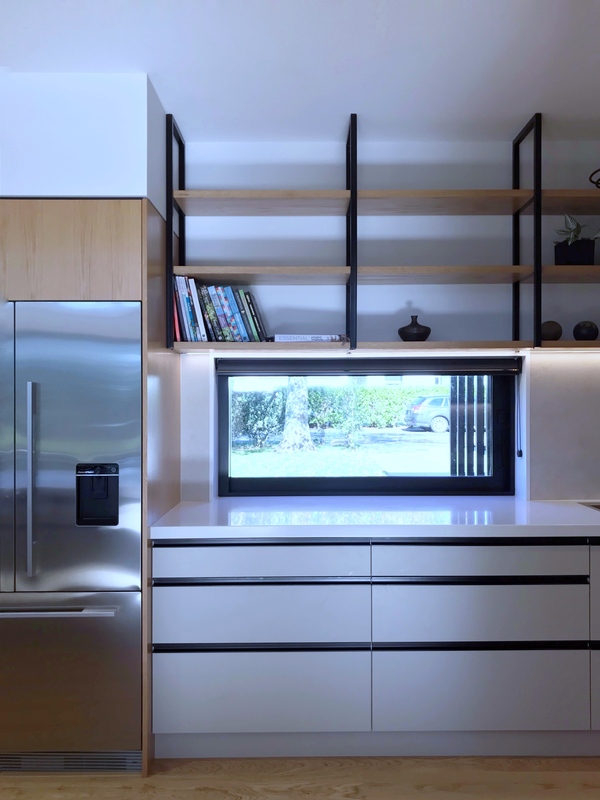 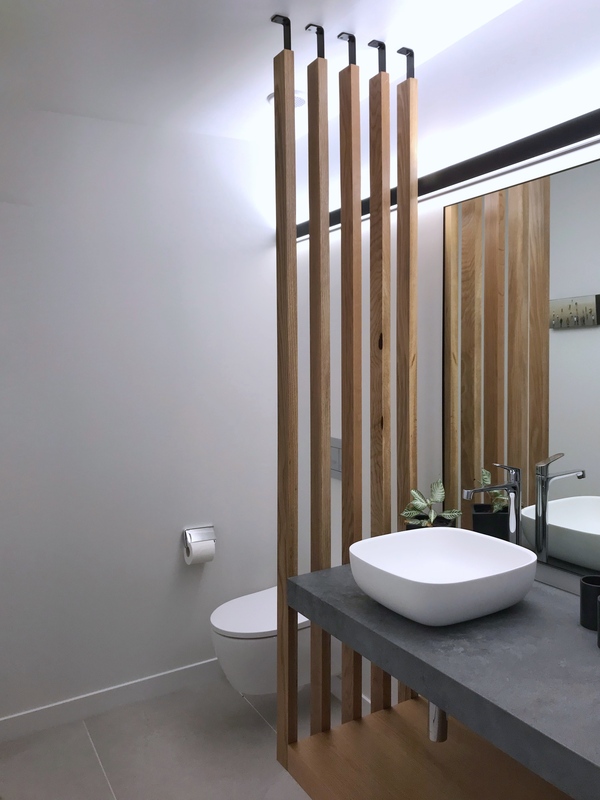 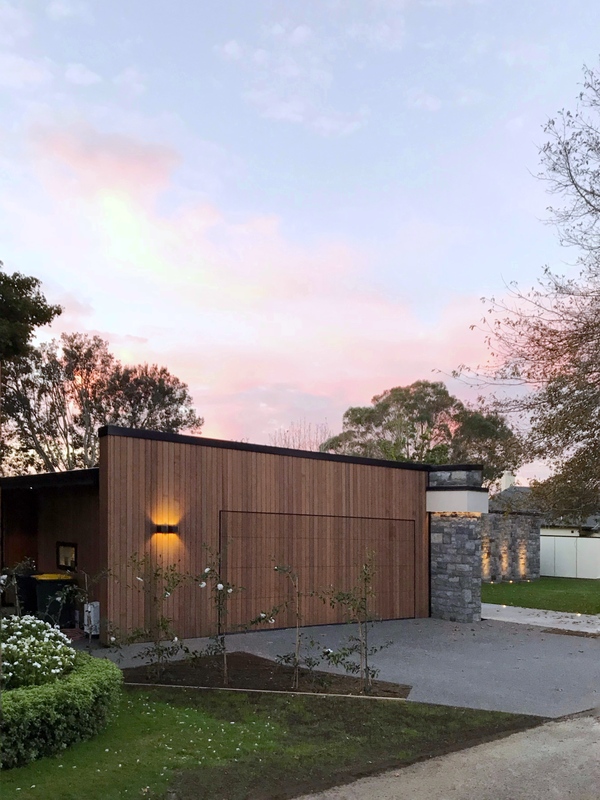 The design is comprised of two parts – a public domain and a private domain – which is clearly visually delineated by a traditional stone wall (Taranaki river stone) which runs the length of the house externally & internally. 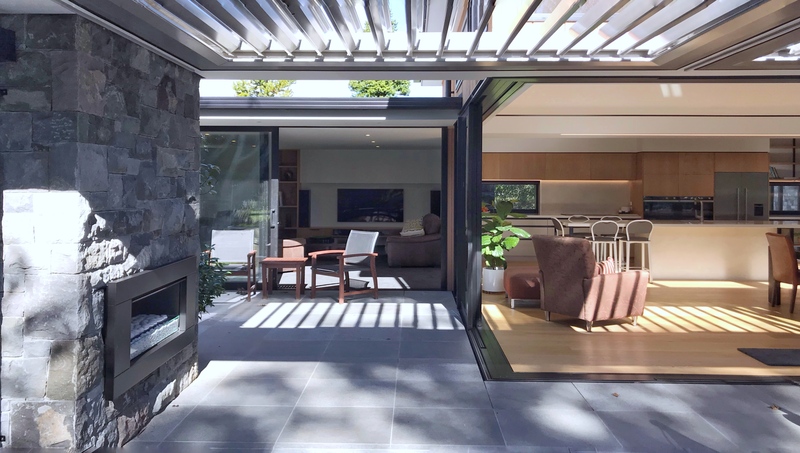 With an east-west configuration, the house was positioned to nestle into the site, while maximising solar gain. 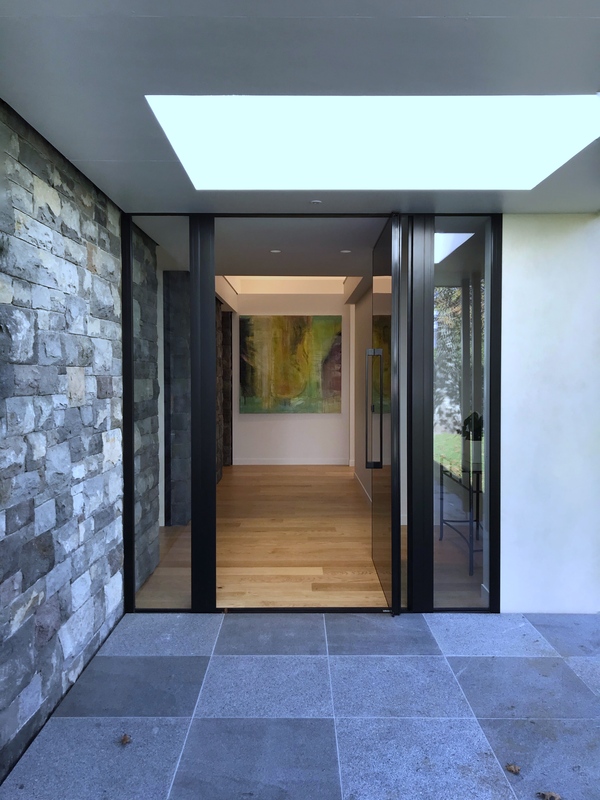 Sustainable principles were employed throughout to promote a high level of energy performance. 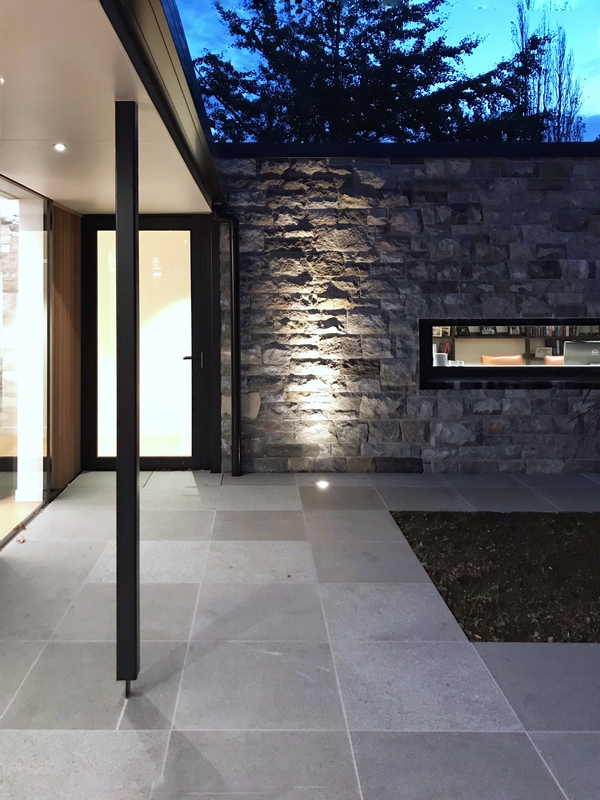 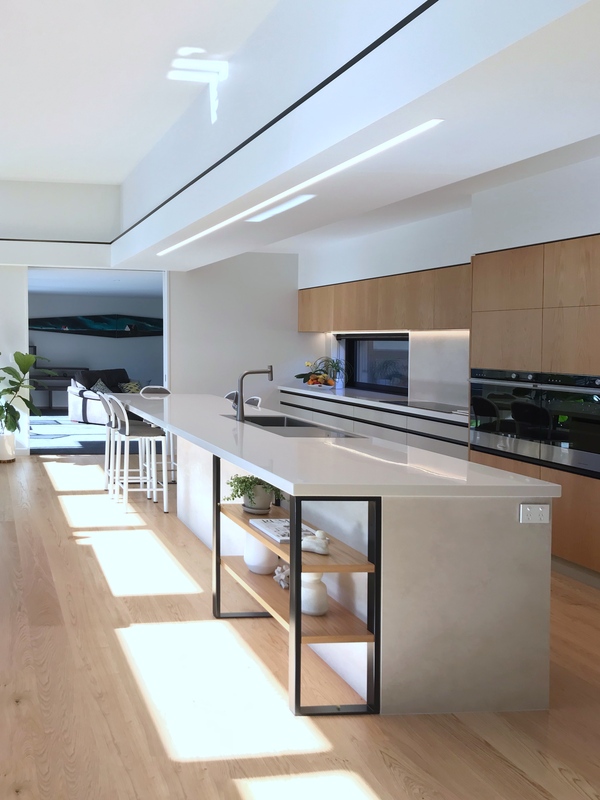 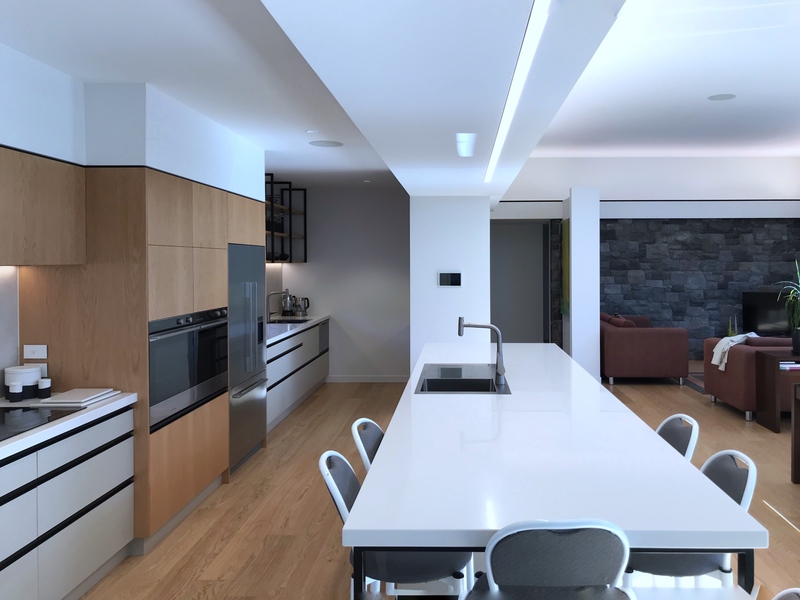 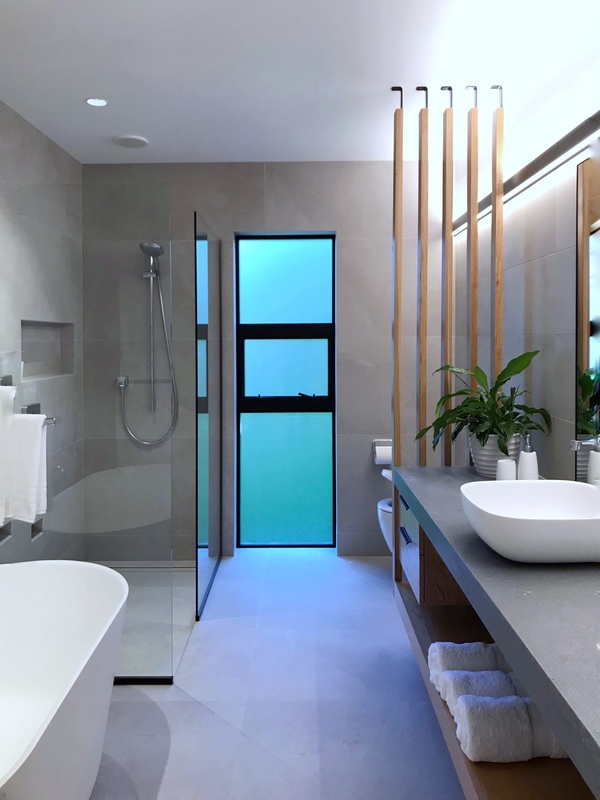 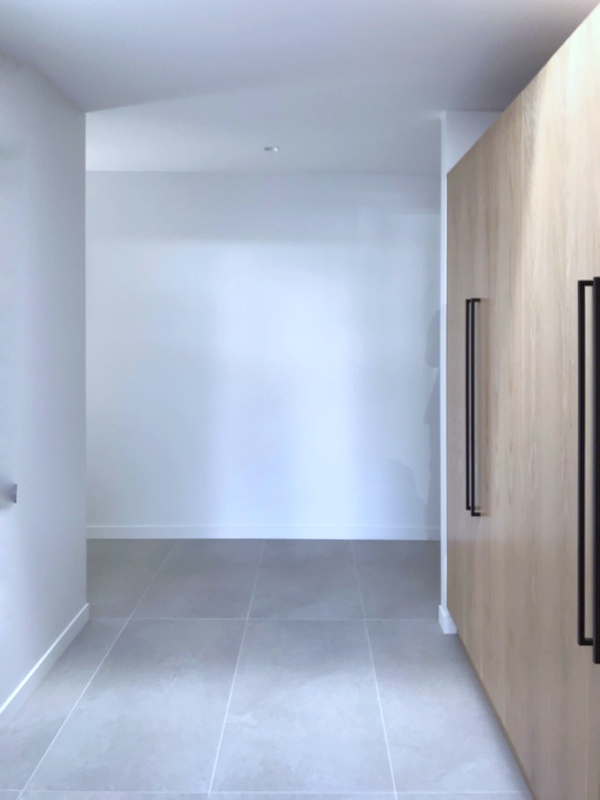 Thermal mass from the stone wall, stack ventilation, shading verandahs, zonal thermostatically controlled hydronic underfloor heating and electronically automated systems all contributed to the overall performance of the house.